TouchChat HD is a full-featured communication solution for individuals who have difficulty using their natural voice. TouchChat is designed for individuals with Autism, Down Syndrome, ALS, apraxia, stroke, or other conditions that affect a person's ability to use natural speech. 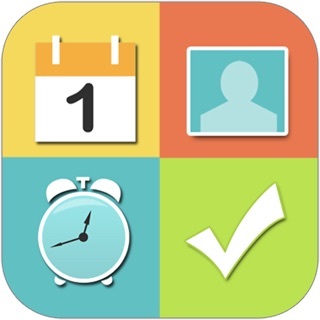 TouchChat provides both English and Spanish options in one universal app supporting iPhone®, iPod touch® and iPad®. Various page sets are included with TouchChat: VocabPC™, MultiChat15, and Spelling are available in both English and Spanish options, myQuickChat©, MyCore, and Communication Journey: Aphasia are available in English while Sintaxis and Sin Sintaxis files are available in Spanish. Each page set targets individuals with different communication needs. Additional page sets, including WordPower™, Gateway© and Pixon™60 are available as in-app purchases. I really touted this as a great thing on my web site based on demos I had seen. However, once I got it into my hands, i got very frustrated. Very poor voices. "Nelly" is not a good child's voice. Buttons can't be moved, copied or pasted. When you are in the 16-button page (as an example), some of the buttons that should show are hidden. You hit "edit page" and you see all the buttons and they rearrange themselves so you can't really tell where things will go (and what buttons will disappear) when you back out of edit view. The "scene based" does not work like a traditional scene base where you can put a button anywhere and move it around as needed. You can only use a grid. Very disappointed. I bought Proloquo2Go and thought this would be better. Paid for this one and now it is wasted. Going back to Proloquo2Go. This program is so easy and flexible to fully customize. It is an awesome program to develop a new vocab. The word organizations on the market are not good and I am really greatful for a program where I can build and customize my own so well. Developing new customizable vocabs would be a real boon to the AAC market--especially for those who have outgrown devices that are really just a series of choice boards but who don't have full literacy or grammar yet. The upgrades have improved the program, but it still crashes unexpectedly while in use on occasion. We use this app on our daughters iPad, it works pretty well. I wanted to add the app to my phone for a more mobile option and the company wants another $300 for the iPhone app... What a joke! I can't recommend this app - use ProLo, at least their app works on both iPad and iPhone and they don't try to charge you twice. I gave the company the opportunity to make it right and their support and answers were a joke, they tried to blame Apple. In the very least, if you purchased the $300 iPad app, they should offer a credit for the same iPhone app.